Click here to hear the story about Benjamin Burstein. 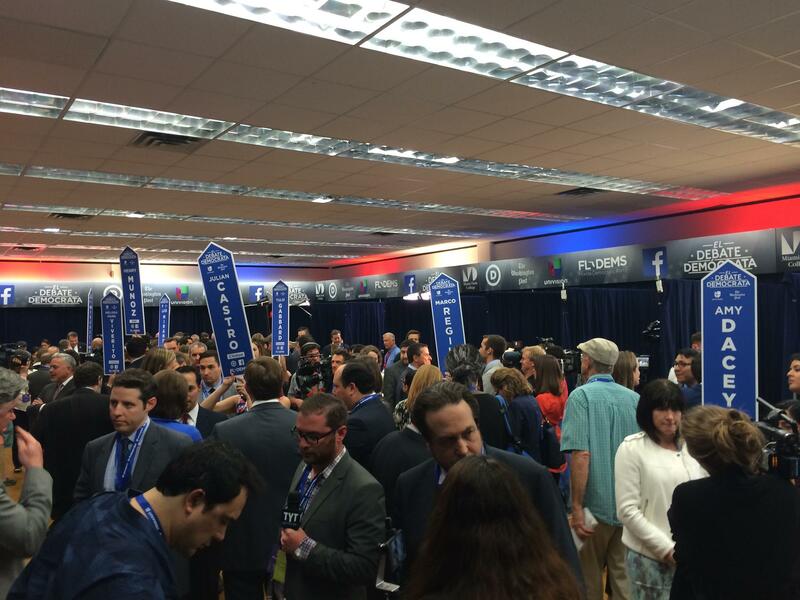 The Democratic debate press room in the afternoon, before most reporters filed in. Being in this room is not all in a day’s work for Burstein; it’s actually all during a school day. He’s missing Spanish, chemistry and calculus at Miami Beach Senior High School. You wouldn’t know it by the briefcase he carries or the suit he wears, but he’s 16 and the youngest person in the room by at least a few years. 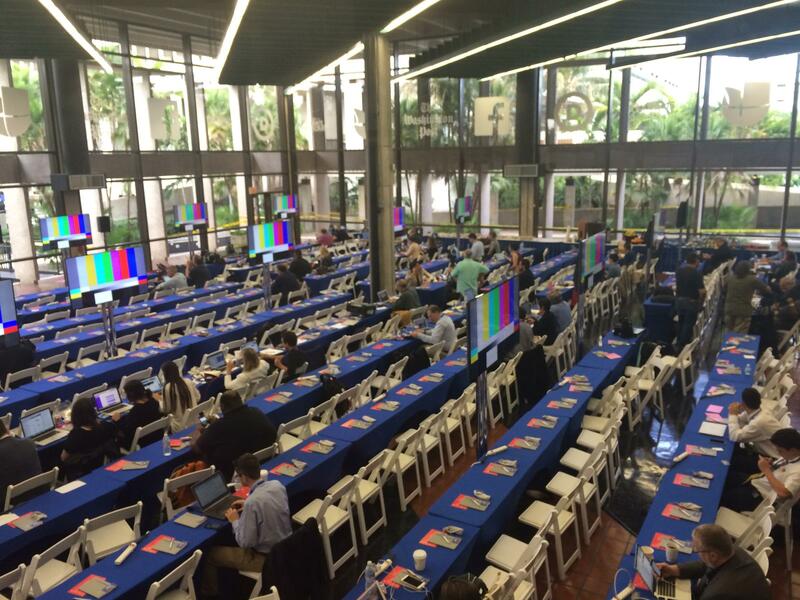 The spin room at the Democratic debate at Miami Dade College Kendall Campus Wednesday. His website is called Teens for Teens, which is also the name of the Political Action Committee he founded last year. He filed all the paperwork himself. “We contribute service hours,” explains Burstein. “So through working with different students we've contributed over 8,000 hours of service to local offices” of area politicians. To think this is just cute undercuts what Burstein is up to; he’s actually getting things done. When Mayor Levine was running for reelection, he participated in a debate organized and moderated by Burstein. “I have a funny feeling that the future debates for the mayor of Miami Beach we’re going to see Benjamin” up on the stage, said Levine. 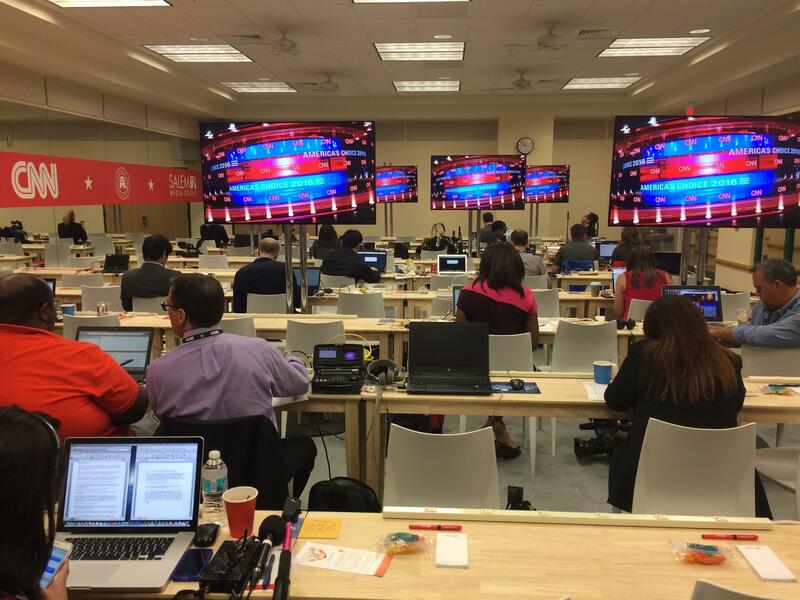 One of the press rooms at the Republican debates at the University of Miami. Burstein is also working with the city of Miami Beach to lower the voting age in municipal elections to 16. And it looks like it actually could happen. He’s got a sponsor and four supporters to get the issue on the November ballot alongside the presidential race. Burstein’s mom insists the passion for politics doesn’t come from her. “We don't really talk politics that much at home, to tell you the truth,” says Melisse Burstein. On Wednesday night, Benjamin Burstein said it was easier to pay attention to the debate in the press room, than at home with his parents. “I mean it’s definitely a lot more focused here, when you’re in a room with 200 different people that are watching the same debates and writing about them. It’s definitely a little more intense and just a different atmosphere overall,” said Burstein while packing up to go home — at close to 11:30p.m. Burstein didn’t get credentialed for the Republican debate Thursday night, so he watched from home drinking a couple of Cokes to help keep him awake; he was tired from the night before. He wished he were back in the press room. 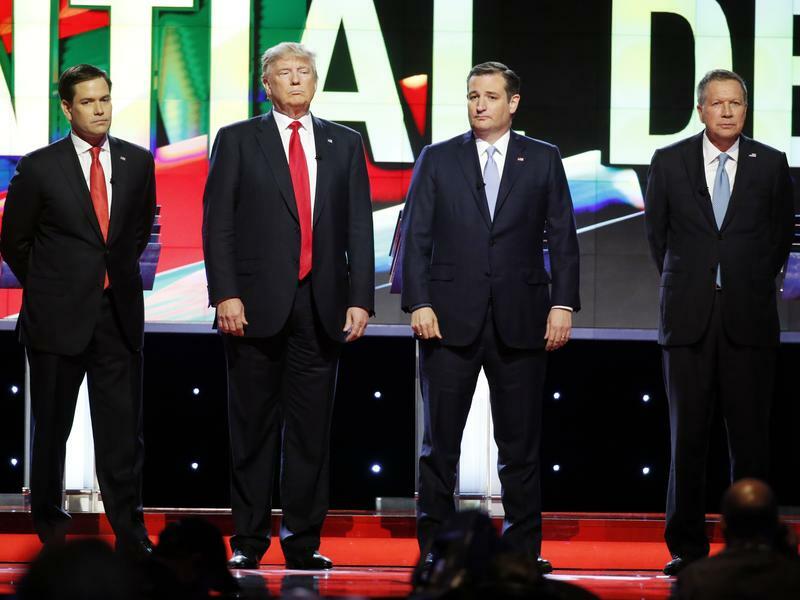 Use your mouse to move through a 360 degree look at the Republican debate spin room.